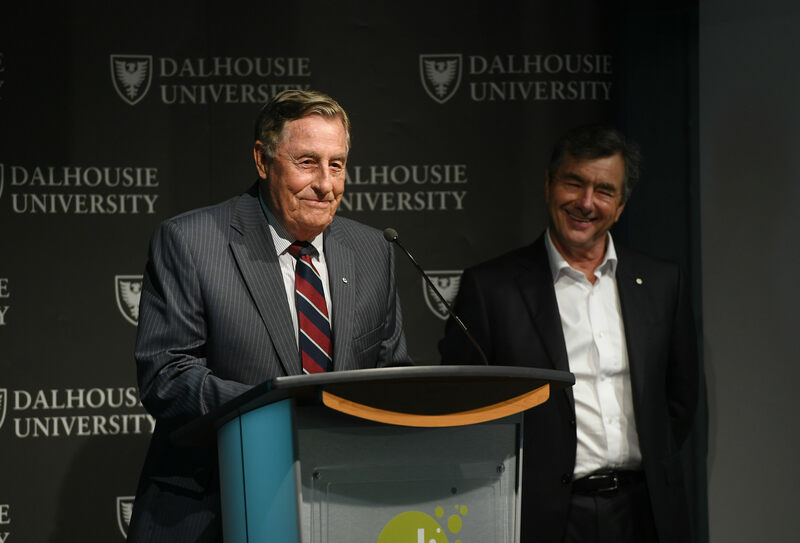 New Dalhousie offering provides students with the opportunity to spend entire days with 3 billionaires. Launched in 2012 at the University of Toronto’s Rotman School of Management, the CDL has emerged as the leading accelerator program in Canada. The program is designed to assist early-stage companies with guidance from entrepreneurs and angel investors, world-renowned experts from leading academic institutions, and top MBA students from business schools across the country. This fall has brought a new opportunity for Dalhousie’s CRMBA students interested in exploring entrepreneurial skills through the Atlantic expansion of the Creative Destruction Lab (CDL) program. Participating students will work with business leaders, academic experts, and entrepreneurs to help grow seed businesses into high-growth companies. 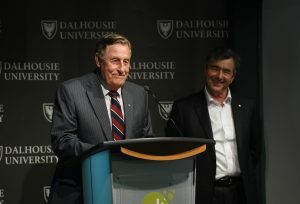 Ken Rowe (left) and John Risley (right) at the CDL-Atlantic launch event. One of the defining features of CDL is the chance for students to interact with G7 members, chief scientists, top business school faculty, and CDL partners in full-day sessions. Mentors include the founders of WIND MobileTM, Workbrain, Kik and KoboTM, as well as those sold to Microsoft, IBM, Amazon, and Salesforce. 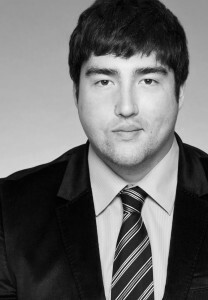 Louis Beaubien, CDL-Atlantic Co-Lead and Academic Director, agrees: “The program really is an amazing opportunity. It is a chance to be part of something that will develop and grow the socio-economic landscape of Atlantic Canada. At the same time it’s an opportunity to engage with students in areas of innovation and entrepreneurship, and work with them to develop skills that will help them grow and develop the communities of which they are a part whether it is Atlantic Canada or somewhere else. In addition to Rotman School of Management and Rowe School of Business, CDL is offered at Calgary’s Haskayne School of Business, HEC Montréal, and Vancouver’s Sauder School of Business. Interested in diving deeper into CDL? Learn more about the program at www.creativedestructionlab.com. Visit the Rowe School of Business’s CDL program site. Every year, new international students are welcomed to Halifax universities; Dalhousie alone counts students from over 115 countries among its student body. One such international student is Dina Ding. Dina is a bright and articulate student originally from Beijing, and currently completing her MBA. Her varied career interests include marketing, strategic planning, and corporate finance. This week, Coburg Consultants sat down with Dina and chatted about how Halifax is the perfect fit for international students wanting to experience Canadian culture for the first time. Q: What are the main reasons you chose Dalhousie for your MBA? I chose Dalhousie mainly because it has one [eight-month] residency, which I think is appropriate since I want Canadian work experience to decide if I want to stay after graduation, but don’t want to spend time looking for jobs multiple times, such as McMaster’s co-op. The other reasons are the small class size and reasonable tuition comparatively. Q: What advice do you have for international students thinking about moving to Halifax? I would suggest incoming students prepare more of the business-related knowledge before coming since I had a hard time transitioning business field study initially, especially in English. Another piece of advice is to understand the Canadian educational system better, especially how grades are earned in each class. I didn’t pay any attention to the different weighting of assignments and exams and learned a tough lesson. Q: How does Halifax fit into your Canadian journey? I traveled to Vancouver, Calgary, Toronto, Ottawa, Quebec City, and Montreal before coming to Halifax; I traveled to a couple of cities in Maritime provinces too. After graduation, I’ll live in Halifax for a while and then probably move away. I haven’t decided if I want to move to other places in Canada or back to China. Moving to Halifax definitely does open doors to the rest of Canada! Whether you want to spend a few years studying here before moving to Toronto or Vancouver or spend the rest of your life in Halifax, it’s all possible. Michael Carey grew up in central Massachusetts, and has been living in Nova Scotia since 2007 with his wife. He first moved to Canada to attend Mount Allison University, where he graduated with a BA in anthropology. Over the years he has lived and worked in a variety of settings including China, Alaska and Latin America. His love of camping, fishing and the outdoors has led him to travel overland across North America, East Africa and the Chinese Himalayas. Over the past few years, Michael has worked in the solar energy sector, where he developed a passion for empowering people and communities. He has chosen an MBA as a way of leveraging his diverse experience and his fondness of working with people. Where are you working for your Corporate Residency and what is it like so far? For my residency, I am working at Seaforth Energy in Business Development. Seaforth Energy is a manufacturer, installer and research think-tank for the wind energy industry. My job involves a diverse array of skills aimed at finding new clients and guiding them as they get their projects off the ground. As we work internationally, my position involves making energy infrastructure projects work in areas as diverse as the Canadian Arctic, the Caribbean, the USA and West Africa. This requires a mix of hard and soft skills and, on any given day, I may be expected to play the role of electrical specialist, economist, financial analyst, municipal by-law expert, cultural liaison, etc. What challenges have you been faced with, and what projects have you worked on? It has been an interesting challenge to develop projects that are viable from a financial perspective, and then convey this “business logic” to a wide variety of stakeholder groups. I challenge anyone who feels that they have sales and marketing talent to develop a wind turbine site in a small community! One of the best aspects of this residency is the latitude I have been granted to work independently, while benefitting from the support of our sales and engineering teams. The opportunity to pursue my own leads requires dealing with contractors, financers, electrical utilities, government bodies, etc. It has also offered the opportunity to hit the pavement and explore some of the most beautiful corners of Nova Scotia. Fortunately, high-wind sites are often very scenic places. You are originally from Boston; what made you decide to come to Dalhousie? Did you look at many other B-schools? The decision to apply to Dalhousie’s MBA program was a pretty natural one, and it was the only MBA program to which I applied. As a workaholic I was keen to remain in the workforce while pursuing a Master’s, and was also keen to live in Halifax as my wife completes her degree in nursing. I was attracted to the innovative, employer-informed pragmatism that Dalhousie offers. This really is a program uniquely suited for the “new economy” of our times. What did you think about the first 6 months of classes? Did they prepare you for your residency? The first few months of classes were crucial in my preparation for residency. My work experience includes three years at an engineering firm prior to starting the Corporate Residency MBA program, and university summers on commercial fishing boats. I have found it enlightening to view these “hands on” experiences through the lens of Business Administration. For a guy with a BA, courses in accounting, finance and operations were especially intriguing, and opened me up to a perspective of business of which I had been only superficially aware. As you may hear from many students, the emphasis on soft skills is an important part of Dalhousie’s MBA program. I am grateful for the numerous hours spent delivering presentations to roomfuls of onlookers, often on subjects outside my area of expertise! I have found comfort and composure in these situations to be some of the most valuable “material” covered. Do you have any advice for someone who’s thinking of applying today? For someone applying, I would recommend coming to visit and checking out the place for yourself. While brochures, websites and “schmoozing” events can convey a sense of a place, it is important to sit down one-on-one with students, and professors. You can learn far more over a beer with a recent grad than from any official review. Just imagine what a few beers can do! Samantha Burnet is 23 years old, and is originally from Calgary, Alberta. In June of 2012 she graduated from Queen’s University with a Bachelor of Science, subject of specialization in Life Science. For the past year Samantha has been living and working in Newmarket, Ontario, during which time she became interested in the Corporate Residency MBA program at Dalhousie University. She wants to complement her BSc with an MBA because she believes it presents a perfect opportunity to pursue a career path that incorporates both science and business. Beyond her academics, Samantha has been a competitive dancer, focusing seriously on competitions and conventions throughout grade school, and continuing during university more as a recreational hobby. Dance has provided Samantha with an amazing opportunity to meet new people, travel and establish balance in her life and she hopes to continue with it. What sparked your interest in doing an MBA? In high school when I was deciding what course of study I would pursue for my undergrad I found it came down to science or business. Ultimately, I found that the sciences provided me with an opportunity to explore different specializations and hands-on work in labs that would challenge my primary interest. After graduating, I continued to feel a pull toward business. When I discovered MBA programs that incorporate work experience and academic learning, I wanted to pursue a business education without further delay. You are originally from Alberta, went to school and worked in Ontario, and are now about to start your MBA in Nova Scotia. What made you choose Dal’s Corporate Residency MBA program? I chose Dalhousie first and foremost because I believe that this program and the university community as a whole present a very suitable match for me. Studying at Queen’s University, I became used to a very tightly knit environment and feel that Dalhousie’s sense of community closely mimics this style. In addition, I found this program to be the most desirable choice because of the work term residency position that I believe will give me the opportunity to network in the industry and determine the focus and type of professional environment best suited to my knowledge and experience. In addition to Dalhousie, I applied to the Co-op MBA program at both McMaster University and Carleton. Fortunately, I had the opportunity to visit all three campuses in addition to guided tours of the business schools at McMaster and Carleton. After getting a sense of the atmosphere and dynamic at the different schools, in addition to feedback from current and graduated students, I determined that the environment at Dalhousie University was most suitable for me. Further, the reputation of this program and overall feedback I have received from other students made my decision to accept the offer from Dalhousie incredibly easy. What are you most excited about in the days leading up to the start of the program? Coming from Calgary, and having lived in Kingston, Ontario, for the past five years has given me the chance to get a feel for two very different city styles and cultures. I believe that Halifax will give me an entirely new experience that will contribute to the dynamic that I have been exposed to previously. In the past few years I have been able to come to Halifax on a few occasions to visit family, and believe that it is an incredibly welcoming and interesting city. Further, I am extremely anxious to start school again and be immersed in an environment filled with enthusiasm and rich diversity. After taking a year to determine this path, I have really generated the motivation and enthusiasm that I need to be successful in this program. What is your ideal job upon graduation? I am interested in pursuing a career in the pharmaceutical industry. I want to establish a career that will allow me to utilize my education in science, as well as complement the education I gain through the CRMBA program at Dalhousie. What three attributes do you think are important for every business person to possess? I think they are leadership, knowledge and integrity. To me, leadership means having the ability to motivate and inspire those around you while maintaining the focus and drive to attain a goal. In addition, I think it is critical to have the knowledge and analytical skills necessary to develop a plan of action in any situation. Last, and certainly not least: integrity, which will serve you well in any situation. Who do you admire most as a business professional and why? The person I admire most as a business professional is my father. I have had the opportunity throughout my life to watch his career evolve, and have realized that above other things that have motivated me through my education, he has truly been the most inspiring role model. My father spent many years obtaining his education, first completing a BA in Political Science and Economics, and then while working full time and attending night school he attained his CA designation. I have watched as he climbed the corporate ladder, and to this day he continues to develop and better himself as a business professional. Watching his career evolve and seeing the opportunities he has been exposed to in the corporate world is one, of many things, that inspired me to pursue my MBA. 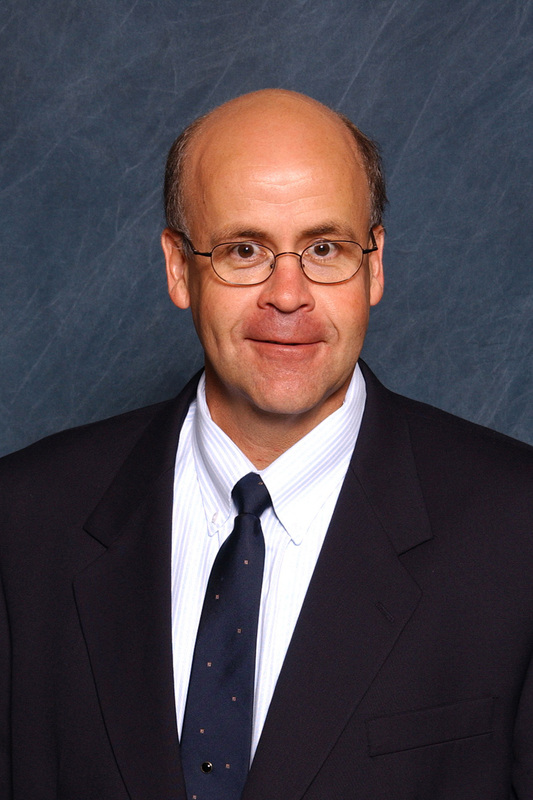 Professor James R. Barker, or Jim as he is commonly known around campus, teaches organizational behaviour for the Corporate Residency MBA program, and holds the Lamb Chair in Business Education in the Rowe School of Business at Dalhousie University. His extensive research has focused on the role of strategic behavior in the development of sustainable knowledge, innovation and change initiatives and the consequences of these initiatives on organizational governance systems, markets and practices. Dr. Barker’s teaching and consulting focus on managing the value creation process across organizations and market levels and emphasize strategic leadership (both planning and implementation), stakeholder relationship management, sustainable enterprise management and strategic change and innovation management. Most recently, Jim and a group of five CRMBA students created Ethics in Action, an initiative that builds on the Dalhousie Business Ethics Case Competition (DBECC). With the support of a $1.5 million donation by Scotiabank, the group will turn the case competition into a conference held every November that focuses specifically on ethics in business. Jordan caught up with Jim and a few of the CRMBA students involved in this initiative to get their perspective on the conference, and business ethics in general. Why do you think this initiative is important for the Dalhousie MBA program? I believe this initiative is important because Scotiabank is offering us a very high platform to showcase the MBA students in our program here at Dalhousie. Also, we are offered a mechanism for anchoring our philosophy of the CRMBA program, that is, values-based management and our focus on ethics. It is great to have Scotiabank sponsoring our event. What drove you to get involved with this initiative? With my professorship in organizational behaviour, I hold a degree of responsibility. This is my area of expertise so it is important that I get involved. I find this initiative very attractive and believe that it can be the flagship event for the Dal CRMBA program. Why do you believe it is important for MBA students to be taught ethics? The expectations for ethical action are increasing; companies have high expectations for employees even outside work hours. Since MBA students are so highly scrutinized, it is important that we prepare students to survive in that environment. The faculty is in charge of making sure the students behave ethically in complex organizations, and this initiative is really going to help us achieve that. What do you see in the future for the Ethics in Action event? I am hoping this becomes the flagship event for the Dal CRMBA program. I want this to be the event that people are talking about, the event that has a buzz, the central brand of our CRMBA program over the next 5 to 10 years. I really want to thank Scotiabank, we appreciate their donation and now we’re going to execute. This is a very exciting opportunity and we are going to make it work! We also asked three CRMBA students directly involved in the planning of Ethics in Action—Emma, Laura and Becky—why they got involved in this initiative and why it is important. Ethics is such an important pillar in business and it’s an interesting topic that is rarely mastered. Developing an ethical-based mind in business is no easy feat, and being part of something that encourages students from all areas of business to challenge their perspectives and build a framework and foundation that will make them better business leaders tomorrow is something that really excites me. Dalhousie, the Rowe School of Business and our surrounding community is truly privileged to host such an innovative event. Ethics challenges the way people do business and live their lives. This conference gives MBA students the chance to reflect on and react to ethics, amplifying and ingraining these principles into their skill sets. I got involved in Ethics in Action because I share the belief that leaders must not only have strong ethical values, but also focus the attention of the organization on ethics. This initiative is an opportunity to start the dialogue, challenge assumptions and learn more about ethical behaviour. Bringing together students around the topic of ethics will lead to good business. I truly believe that the Rowe School of Business is helping to develop the leaders of tomorrow and, in doing so, Dal needs to ingrain in each of us the ability to make ethical decisions. The school is focused on values-based management, which is well aligned to the goals of Ethics in Action. By supporting this initiative, Dal is putting words into action. I was first attracted to Ethics in Action because of the topic of ethical leadership. I have always believed that the foundation of good business is a strong sense of ethics and ethical behaviour, and I was very excited by the chance to develop and promote this way of thinking. Also, this is a completely student-run initiative and I was interested in gaining some experience in project management. The Ethics in Action initiative is so important to me because it gives students a chance to really highlight the importance of ethics in business. Ethics in Action provides a chance to explore some of the difficult ethical dilemmas that come up in business in a safe environment where students can learn from others and test their ideas. It will also give students a chance to emphasize their commitment to acting ethically in their careers. Ethics in Action is going to be one more thing that helps set the Dalhousie MBA program apart from other B-schools. Acting ethically in business is starting to become a very popular topic, evidenced by Scotiabank’s commitment and gift. Employers are becoming more and more interested in graduates who have a strong ethical foundation, and Ethics in Action is going to be one tool that helps develop this foundation. It adds value to each MBA degree earned at the Rowe School of Business. 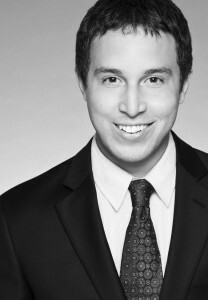 Patrick Smith is originally from Montreal, where he earned a Bachelor’s degree in Commerce from McGill University, majoring in international business. He was excited to move out to the Maritimes as he has family out here – his mom is from New Brunswick. While at McGill, Patrick played on the golf and baseball teams, and has also played baseball for the Dal Tigers. In his spare time he enjoys basketball and playing the guitar. Patrick is on his corporate residency here in Halifax as an associate with Aon’s Health & Benefits division. First of all, who organized the event? Our MBA Society president, Christie Lang, had reached out to those of us on our corporate residencies here in Halifax with a number of volunteering opportunities. These are great chances for members of our program to give back to the community, which I think is important. There are always people who could use our help and it allows our program to develop stronger ties with the local community. Which organization did you partner with? Second-year student Mary-Eleanor Walker got a bunch of us to volunteer for Feed Nova Scotia. We sold 50/50 tickets at a Halifax Rainmen game. I was eager to help with this cause because I had experience doing the same thing at Habs games for the Montreal Canadiens’ Children’s Foundation. Feed Nova Scotia struck me as a great organization, and I couldn’t pass up the opportunity to take in a Rainmen game, something I hadn’t yet done since moving here this summer. Tell us about the evening and what it means both for you personally, the team and Dalhousie’s MBA program? Ever since I moved to Halifax, I’ve been looking for a chance to volunteer some of my time to give back to the community. It was nice to be able to volunteer with a group of Dal MBA students; things like this always make me feel like I’m part of something special here at Dalhousie. It was a great feeling to be able to lend a hand and raise some money for a worthy cause, and hopefully we can do something similar in the future! Can you speak to the overall experience and what you have learned/gained from it? I think these are the types of experiences that help form bonds within the program. Some of the greatest opportunities from the program occur outside the classroom. These types of activities are where you form friendships with your classmates. We had people volunteering from both the 2013 and 2014 cohort, so it also helped with inter-cohort bonding as well. What recommendations do you have for someone entering the program? I would recommend that they explore all the opportunities they have outside the classroom. Our curriculum is important, but our experiences outside the classroom shape us both as a cohort and as individuals. When you’re out there on the job market, people want to hear about things you’ve done, not just the things you’ve learned! There are so many opportunities in this program to join clubs, organize events or, as in this case, volunteer for a good cause. Find what you’re passionate about and apply yourself! Volunteering is one of many ways for people to find their “thing”. It’s my belief that everyone needs to have a “thing” – a hobby or activity they do that makes them unique. Normally my “thing” is playing baseball, but during the winter I try to find other ways to occupy my time – and helping to raise money for Feed Nova Scotia seemed like a good use of my time. It really helps you become more employable if you have a “thing” that employers can relate to! It is now the end of January, which means most Corporate Residency MBA students are finishing the first of eight months on their corporate residency. The ABC team caught up with one such student, Jason Reid, to discuss his thoughts so far on the job and in the program. Jason grew up in Guelph, ON, and moved to Halifax in July to begin the CRMBA program at Dalhousie. He earned a BSc in Human Kinetics with a minor in Business Administration at the University of Guelph. First off, where are you doing your residency? 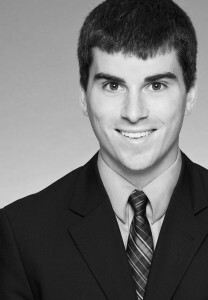 I work at Nova Scotia Business Inc. (NSBI) as a Corporate Analyst. My office is located in downtown Halifax at the World Trade and Convention Centre. NSBI is a private sector–led business development agency for the province of Nova Scotia. Its purpose is to expand business activity in Nova Scotia. I began my residency at the beginning of January and have been working there for four weeks now. What is a typical day like so far? As a co-lead of the Life Science and Clean Technology sectors I am responsible for scheduling meetings and developing a strategy and budget that will help each respective sector grow and improve within the province. I also do supporting work for the other teams at NSBI. Specifically, I help companies and our departments with strategic planning, which in turn will help the province grow economically. I meet with clients regularly and help determine their needs and objectives, and match them with ours. What do you enjoy most about working for NSBI, or the corporate residency in general? I enjoy meeting people and learning about the life science and clean technology industries here in the province. Some of the projects and people behind them are fascinating and a lot can be learned from them. Also, I am still doing some training and getting lots of support to get to the next level. My colleagues and managers are committed to helping me grow in terms of career and abilities. What differentiates the residency from other jobs or co-ops is that I have been given high-level work right from the start. There is definitely lots of trust and responsibility involved. It’s also great to work and network with C-Level executives and other high level managers of various companies. There are several initiatives we are currently developing with the goal of expanding business in the province in each of the sectors. They involve multiple companies and industry partners and it will be very exciting to watch the sectors grow. There are three major projects I have worked on so far. First, I wrote a report summarizing the renewable energy potential in NS to be circulated at Canadian embassies around the world. The purpose was to attract investment and promote Nova Scotia. Secondly, I worked with the VP of a vaccine company to help him get to clinical trials. Finally, I helped to plan and market the Nova Scotia representative part of an international trade show on life sciences. What do you believe to be the most important skills or abilities for your job? Research and strategic planning are among the skills that I use every day. It is important to utilize the ability to think big picture and across multiple provincial sectors in order to come up with the best possible solution while at the same time being able to focus on the specific details involved when working with an individual client. How much of a pay increase have you received in comparison with your last job? Compared to my previous job right out of undergrad, this residency position has increased my pay by 65%! Do you have any words of advice for those starting their residencies in the future? My advice would be to get involved with as many extra-curricular activities as you can. The MBA program runs a very interesting and informative Investment Club and gets involved in the community through various networking events and social activities. Participate in as many extras as you can without losing focus on your studies or your job. What skills do you hope to gain from your residency? I hope to learn how to manage multiple projects effectively as well as fine-tune my presentation skills and meet as many people in the industry as I can. My ideal job would be something that allows me to work on projects within the company, but also get outside and deal with clients. Ideally, it would be something that was in the life science industry so I could utilize both my science and business backgrounds. Drayton Berger met with Corporate Residency MBA accounting professor Jim Power to discuss his experiences with leadership, both in his career and in the program. 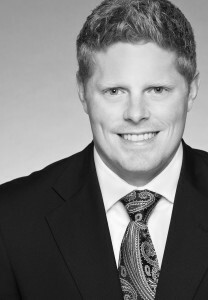 Jim was born and raised in Montréal and has a commerce degree from Concordia University, as well as a CA designation. He has had a successful career spanning the private, public and not-for-profit sectors. Jim has worked at organizations including KPMG, TransAlta, the YMCA and the Government of Nova Scotia. What made you choose accounting as your profession? Very early in my schooling, I came across an opportunity for learning—something called chartered accountancy. I put that in my head as being something I wanted to do when I grew up. When I tell you that I did this in grade seven, some people say “oh my god, that’s so young”. In reality I used chartered accounting as an answer to the question: “what are you going to do when you grow up?” When I heard about chartered accounting it sounded appealing to me. The person I had spoken with about this seemed to have a great job, a beautiful house, as well as a nice car. As a kid around the age of 12 the perks seemed appealing. I pursued it by taking it day by day. One thing led to another. I went to university and enrolled in commerce, majoring in accounting. Next thing you know I was on the verge of graduating and was able to seek out jobs through campus recruiting. I had offers from CA firms and pursued them. I started taking courses at McGill University. The next thing you know I passed my CA exams. Goal number one was accomplished. What did you do after you received your designation? Jordan Hirtle caught up with Andrew Frazer a few days after he was elected president of the Dalhousie MBA Society for the 2013-2014 term. The interview focuses on Andrew’s thoughts about the MBA program so far, his residency and his future role as president. Andrew is originally from Mississauga, Ontario, and moved to Nova Scotia to do his BBA at Acadia University where he majored in marketing. He is a three-time recipient of the Academic All Canadian Award as well as many other awards. Apart from academics, Andrew played football for over four years at Acadia, was captain for two years and is now involved in all types of sports at Dal. He recently obtained a corporate residency position with Scotiabank Global Banking and Markets as a credit risk analyst. First off, why did you choose Dalhousie to do your MBA? I decided to apply to Dal’s Corporate Residency MBA (CRMBA) program to further my academic success and to get real work experience. This was essential. I also enjoy the east coast culture, and the faculty made me feel welcomed and wanted during the application process. So you’re the new president, congratulations! Do you plan on implementing any changes?